How to plan and structure a contract negotiation with a vendor. Depending on the size, negotiating a contract with a vendor can take months of preparation — and even longer to hash out the details. 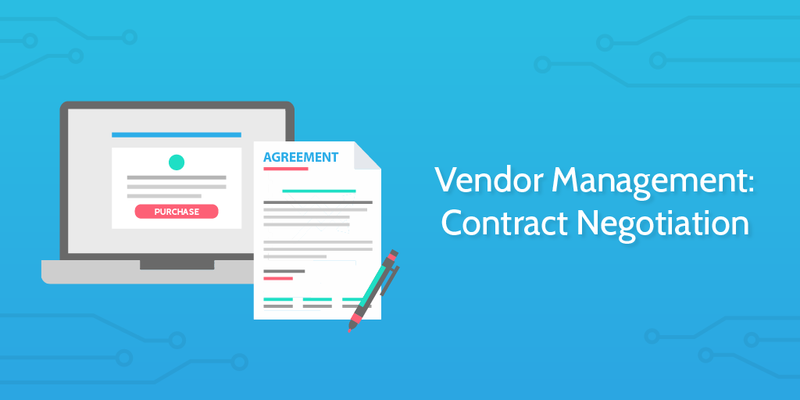 In this process, you'll go through the steps of planning and negotiating a contract with a vendor. This includes communicating with contacts, gathering requirements, finalizing your needs and limitations, and then the actual negotiation itself. For big deals, contract negotiations can waste or save millions of dollars. Use this process to track your progress throughout. It's especially useful if you're tracking multiple negotiations through the pipeline. To track multiple negotiations, make sure you're recording the details in the form fields below. You can use the template overview to see all negotiations on one page, complete with the form data. Ask upfront: "Are you authorized to negotiate this contract?" This will avoid you wasting your time dealing with a contact who isn't allowed to negotiate. A Request for Proposals (RFP) is a document outlining your needs that helps a vendor know if they're a good fit for you, what your priorities are, and more. The Alberta Ministry of Service has an example RFP for packaged software template available here. Depending on the formality of the situation, you may or may not need to approach vendors with an RFP. To store the document in a central place for later reference (or attach it for peer review), use the file upload widget below. If you're not comfortable with legal jargon on the contracts, it'd be best to seek legal guidance. There are lawyers that specialize specifically in contract negotiation, some of which are listed in this directory. Alternatively, you can use a service like Upcounsel to get bids from multiple lawyers. Will you make a visit, or host the negotiations at your office? Will you negotiate physically, or using teleconferencing / Skype? The Balance recommends negotiating in person, or using video chat because body language is an important part of negotiations. Also take into account whether visiting the vendor will give you an edge in negotiations. Knowing what you want and what you're willing to give for it is essential for strong negotiations. To keep exact notes, you can use the form fields below. Lock down the specifics of the negotiation. Using the form fields below, you can build out an email that you can then send to your vendor contact. If you need, you can edit this template to include more form fields. Outline the total cost, payment schedule, and financing terms. To be clear of the effective contract dates, record the start and end dates of the agreement in the fields below. Drawing on the issues you might have brought up in the vendor evaluation, identify the risks and liabilities of this particular vendor and contract. Is it at all possible the vendor could go out of business? What if there's a delay in getting stock from the usual supplier? Does the vendor have experience dealing with companies of your size? If you have worries, it's time to re-address them during negotiation. It may give you a stronger negotiating stance. It's important to agree upon a communication schedule, and set the terms for a continued relationship. Think about how often you want to meet with the vendor, whether or not there's room for future re-negotiation, etc.